ACSI Camping Card and DVD guide giveaway – winners announced! 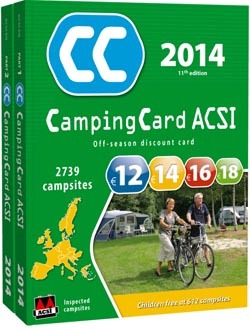 Last month we gave you the chance to win an ACSI Camping Card and DVD guide. After hundreds of entries and plenty of comments from those of you who’ve used the discount card in the past, it’s finally time to announce the winners! You each take away the Camping Card and DVD guide courtesy of Vicarious Books UK. Each winner was notified by email on 21/01/14. The Camping Card and DVDs were sent in the post on the same day on behalf of Vicarious Books.